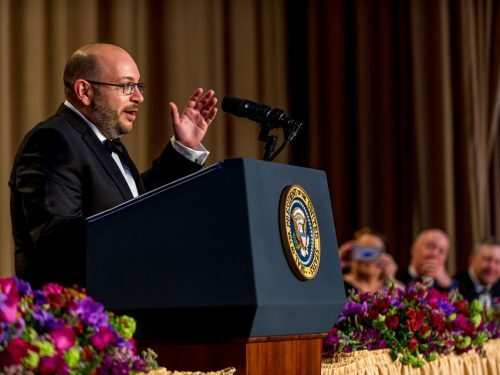 Four reporters have been named winners of three of journalism’s most prestigious awards. 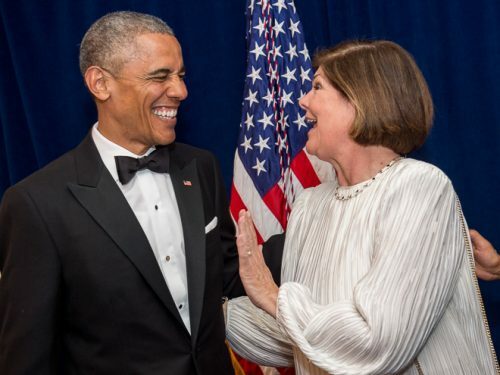 They were honored at the White House Correspondents’ Association dinner on April 30 at the Washington Hilton. At the annual dinner, the association also presented more than $100,000 in scholarships for journalism students. 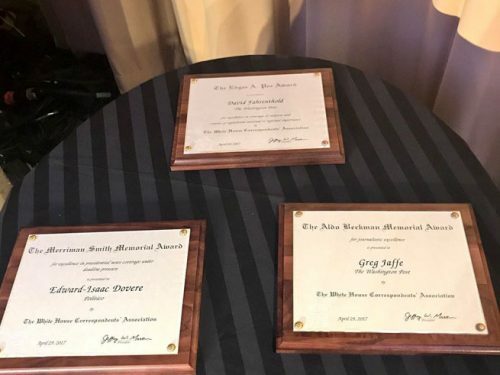 Dan Balz of The Washington Post and Jake Tapper of ABC News have won the Merriman Smith Award for excellence in presidential coverage under deadline pressure in the print and broadcast categories, respectively. The award carries a $2,500 prize. 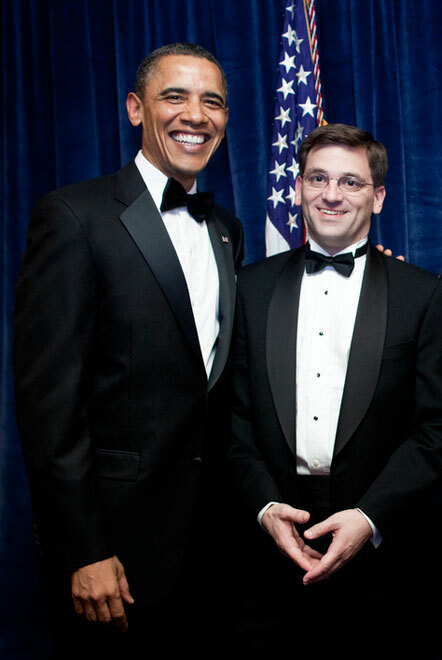 Balz was cited by the Smith award judges for “great presidential reporting” for his coverage of the unexpected appearance of President Obama and former President Bill Clinton in the White House briefing room after a meeting in the Oval Office to discuss Democrats’ massive losses in the midterm elections. Tapper won in the broadcast category for the second year in a row, and is being honored this year for his story that revealed that Director of National Intelligence Dennis Blair was about to be asked by President Obama to step down. The judges said that “because he knew the news when the rest of the media sphere was just learning it, Tapper was able to provide details that few others could match” in a richly detailed piece on the Web followed by a full report on television. “Tapper was clearly ahead of the pack and ABC’s audience benefited from his reporting,” said the judges. 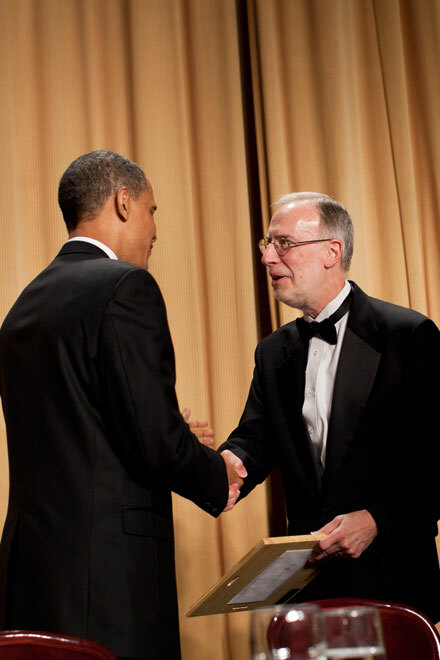 Peter Baker of The New York Times has won the Aldo Beckman award, which recognizes a correspondent who personifies the journalistic excellence and personal qualities of Aldo Beckman, a former president of the White House Correspondents’ Association and correspondent for the Chicago Tribune. The Tribune and the association, which established the award in 1981, will give a prize of $1,000. 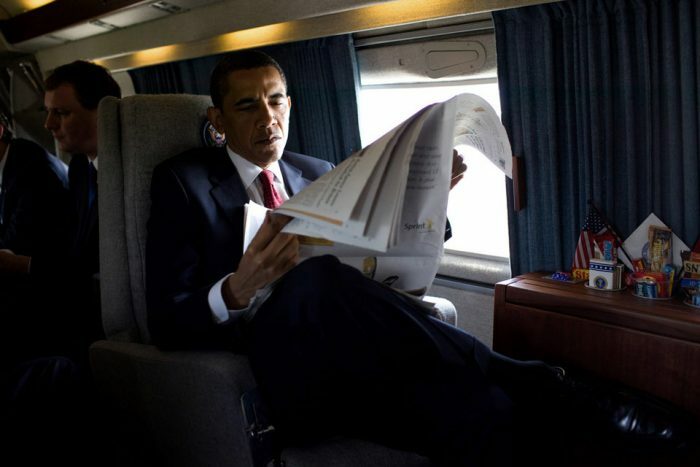 Baker wrote more than 300 articles last year about President Obama’s second year in office, including breaking news, analysis and long-form features and profiles, both in the paper and in the Times’ magazine. 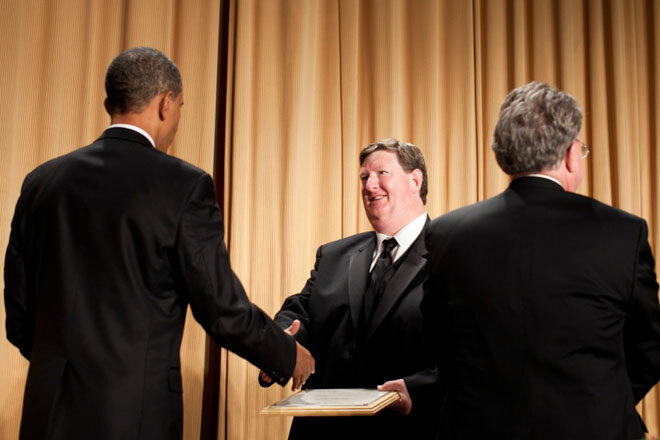 Michael Berens of The Seattle Times won the Edgar A. Poe Award that recognizes excellence in coverage of news of national or regional significance, with a single award for either a print or broadcast journalist. A prize of $2,500 comes with the award, which was established by the New Orleans Times-Picayune and Newhouse Newspapers in honor of their distinguished correspondent Edgar A. Poe. Berens, a repeat winner, won this time for a series that uncovered shocking flaws in a health care plan for seniors that was designed to save money and give seniors an alternative to nursing home care but that resulted in neglect, abuse and even death. The judges were impressed by the depth of reporting and the ability to tell a highly charged story with clarity. “Michael Berens’ stories not only revealed a systemic failure in the health care system, but led to a shake-up of the agency involved, regulatory changes to improve oversight and accountability and landed some caregivers in jail,” said the judges. Click on the individual guidelines links at right for more information about each award.